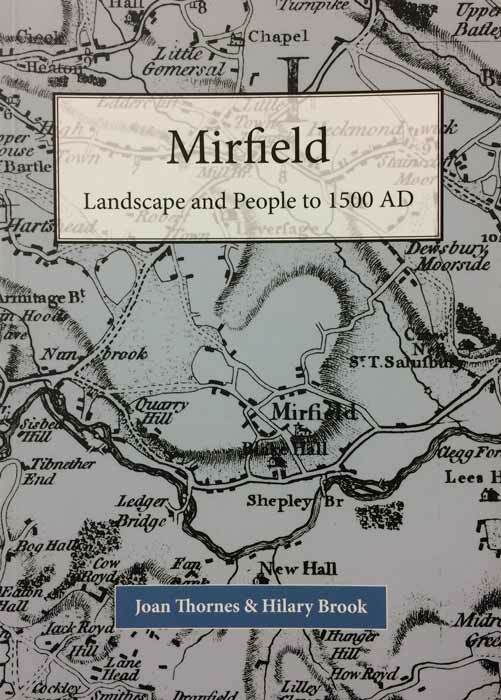 ​This new book approaches the history of Mirfield in a way that has never been done before. It deals with the way the shape of the land on which the town stands was created and then moves on to explain how that landscape has been utilised and adapted by human hand. Many original thoughts have been developed by the authors about the prehistory of the area, the way the land was settled and worked throughout the medieval period, the development of the hamlets and the fields and what remains to be seen in the landscape of today. Deductions have been made by drawing on evidence from later documents - the diaries and notebooks of the Rev Joseph Ismay, who was vicar of Mirfield from 1735 to 1778, the Township and Parish records, court rolls, deeds and maps. Many of the authors own photographs and maps have been used to illustrate the text. Hilary and Joan's paths first crossed in the early 1960’s but not until nearly 30 years later that their common interest in the past brought them into contact again. Joan was then working for an M Phil at the University of Sheffield and Hilary became involved in helping with some of the field work. Conversations during field walking turned to the possibility of writing a local history of Mirfield based on the landscape and how human presence had utilised and adapted the natural features that attracted the first settlers. After many years of research and landscape investigation that book is finally published. Joan taught history and archaeology and Hilary, who has lived in Mirfield for nearly 50 years, had been Assistant Curator firstly at the Batley Museums and then at Dewsbury Museum. Whilst working in Batley Hilary developed a particular interest in the Birstall clay tobacco pipe industry, a subject on which she has published several articles.